It’s no secret that there is a plethora of cloud storage options out there. Everything from multi-billion dollar companies to small start ups have a finger in the storage pie. And why is that? Well, simply because our data needs are growing at an exponential rate, with massive movies coming digitally rather than physically, our ever growing need to first let me take a selfie, our demand for everything to be at our fingertips no matter where we are. This (and many other reasons) is exactly why cloud storage is a massive battleground. To think about how much our data storage needs are growing, consider how much data we use on a monthly basis. On average in the Asia-Pacific region, Cisco says we consume about 136mb of mobile data (the stuff you use when connected to internet resources on your mobile device) per month. They expect that to rise to 1.75gb by 2017. And the average American numbers are more gobsmacking- 752mb currently and up to 6gb by 2017! So with all that in mind, we turn from trying to manage our storage on personal computers or network attached storage devices to cloud storage providers. They have apps and websites which integrate with existing devices and give the ability to simply get more storage with the click of a button in seconds. And to sweeten the deal, the prices are dropping. Much like they did with physical storage devices over the last 30 years, digital storage is becoming cheaper as more companies join the fight and as consumer demand grows. 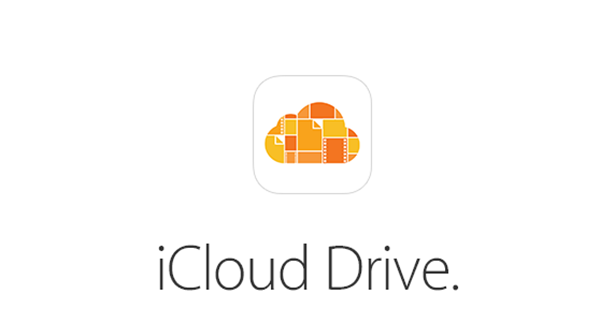 Following the release of the iPhone 6 and Apple Watch, Apple silently moved to not only kill the iPod Classic and update their website, but to also follow in their competitors footsteps and reduce their iCloud storage costs ahead of iOS 8 and OS X Yosemite take advantage of iCloud Drive. With all of these options, it is no wonder that platforms like Kuuvo are starting to make way. Kuuvo is a cloud storage aggregation service, which links them all together and allows you to manage each storage service you use. So, let’s begin. I will be tackling four of the big guys in Australian Dollars- Google Drive, iCloud Drive, Dropbox and Microsoft OneDrive. I currently use a mix of everything. I know, shameful. I am in the process of removing Dropbox, which houses personal backups- it is more effort than it is worth. I have a University Office 365 subscription, so get that too. My University uses Google Apps for Education, so I also have that. I use this for all my university collaboration and storage. I own iOS and Mac devices, so have an iCloud account (and iTunes Match subscription) which is upgraded to 20GB to contain all my data. By far the easiest product to use is Google. But that is probably because I use their stuff all the time anyway. I will remain with them for business and education as I have this set up nicely, and it works well with everything. I have clients link in and upload data for websites in my business drive and the same but for group work with my university drive. I love Gmail and other services Google offers. For backup of my mobile devices, iCloud backup is simple, quick and interaction free. I am happy to pay the small premium per year for this to work. I would recommend this as an additional service for those running iOS devices, but not as the sole storage option. My Windows PC backs up using a mix of external hard drives for video and OneDrive for documents. This is where I will be moving all of my personal data, once I’ve liberated it from Dropbox. Aside from recently reducing their prices, Dropbox has not changed a lot since their inception. They offer apps and ways to sync across devices. Their limited free plan keeps some users away. Google Drive also recently reduced their pricing. Many people already use Google’s ecosystem for email and so may already be familiar with their services. Google has a generous free offer, which is made even better for those who autobackup photos from Google+ on mobile devices- none of these photos count towards your storage limit. Google’s ease of use, continual improvement in the integration of Docs, Slides and Sheets and the ability to sync across all your devices makes it a very good choice. Another positive is for those students at an educational institution who uses Google Apps for Education- you will get up to 30GB free. Apple is late to the game with cloud storage, but have offered users a convenient, quick and easy way of backing up their iOS devices for some time now. Although they recently reduced prices, they still don’t quite compare with others. To its benefit, Apple has many users in their ecosystem already and building in the full synchronisation will be too easy for most to turn down. What can I say? Wow. Microsoft has outdone themself following their rebranding to OneDrive and switch to a subscription based Office suite. You can initially get 15GB free by simply signing up, and then add up to an extra 8GB by doing a couple of tasks, like referring friends. Microsoft, along with others, have all the software and apps available to have your life synced everywhere. Where Microsoft comes onto their own is when you get an Office subscription. Most users already have these or will want these, so it is a case of getting the extra benefits of something you already have. Even more of a bonus, if you are a University student you can sign up for four years for just $99 and get a whopping 1.15TB of storage, plus access to the Office web app and the ability to install Office on multiple computers or devices, such as an iPad. OK, lets break it down and find out what is best for you. I will do this by organising it into corresponding storage amounts. For University students, OneDrive with an Office 365 subscription. By far the cheapest and most valuable service. You will need Office anyway, and OneDrive gives you the most free storage. For personal users, Google Drive. If for nothing else but email and storage, Google Drive will be the easiest and fastest to use. For personal users who also have Office, Office 365 Personal/Home. If you have or need Office, having this subscription will automatically give you both that and a large amount of storage for the best value. For Business users, Google Drive for Work. You can manage users, have personal emails, cloud storage, and access to a full range of products relatively cheap. For those with iOS devices, iCloud for backup. The ease of use with this backup option and ability to restore on the fly is fantastic. Another option is to backup using iTunes WiFi Sync and then back that up with OneDrive/Google Drive.